Right-click on one of the tabs of the program for which you want to enable auto-grouping. 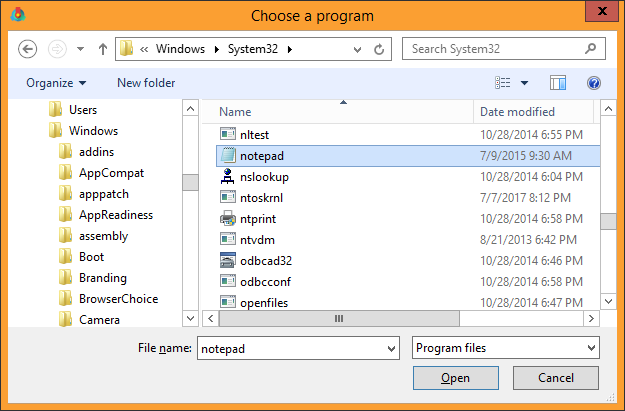 Choose Group <your application> windows in the context menu. 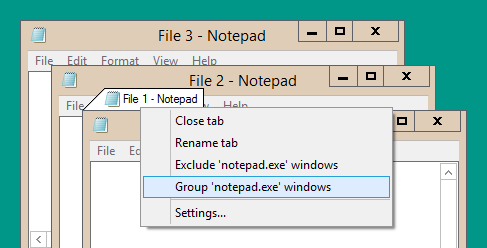 Your application is now added to the auto-grouping list and all its windows are gathered into a single tabbed group by TidyTabs. All new windows will be added to this group. Double-click on the tray icon, at the bottom right corner of the screen. Go to the GROUPING tab. 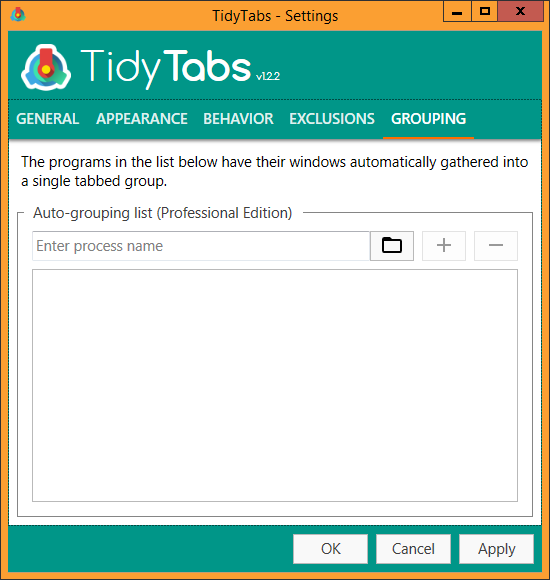 Note: Tab auto-grouping is only possible with the Professional Edition of TidyTabs.